If you’re like me, then burgers are one of your favourite things to eat. The hunt for a good burger place is constantly on as I can barely get through a week without smashing a full on burger. 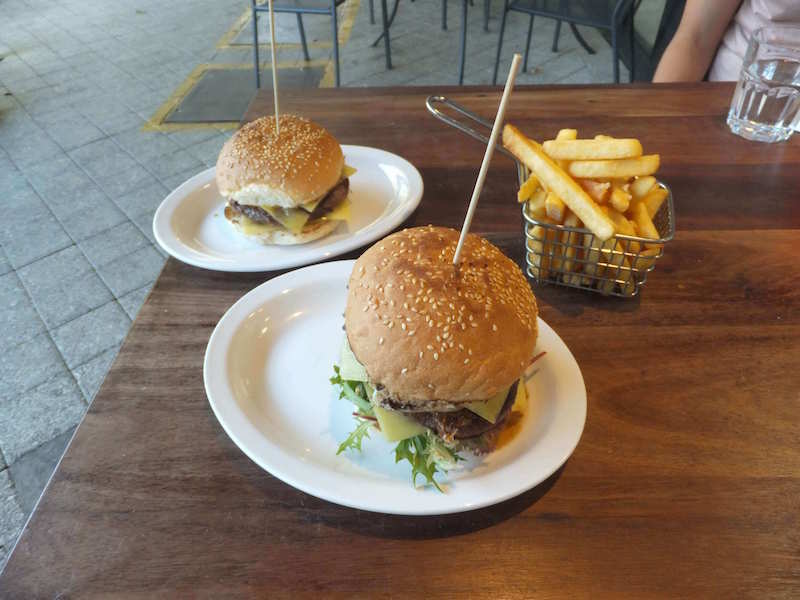 The burger scene in Perth has upped its game over the past few years, and I decided I needed to discover for myself where the burgers are so the next time I craved a double with bacon, cheese, jalapeños and mustard, I knew where to go. 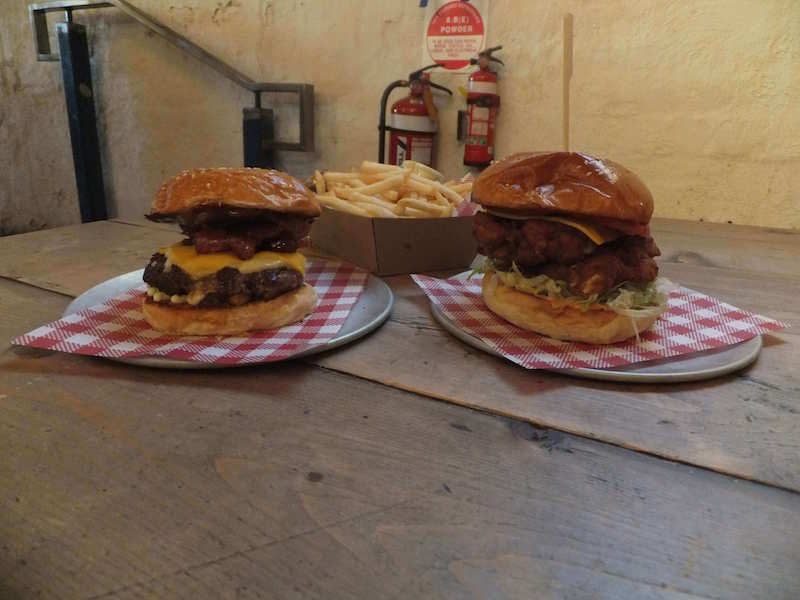 In no particular order, here are 10 of the best burger places I could find in Perth. 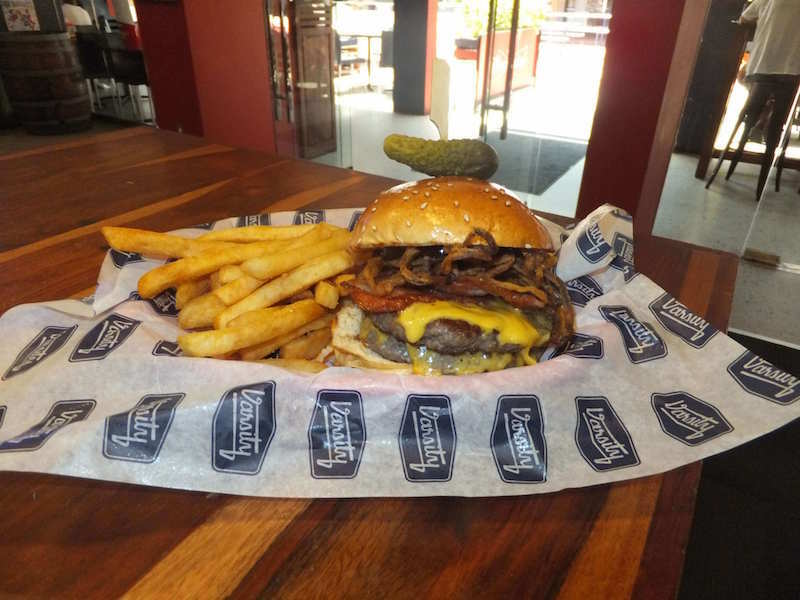 Varsity is a bar in Nedlands decked out as an American-themed sports bar, with a menu full of unbelievable burgers and other mouth-watering meals and drinks. The Texan, a double cheeseburger with bacon, tobacco onions and smokey barbecue sauce is an absolute feast for meat-lovers and sets the standard for a Perth burger. The Buffalo Chicken Burger, buttermilk fried chicken breast, buffalo sauce, cheese, salad and ranch dressing, is a fresh and spicy burger you definitely have to try. Just when you thought it couldn’t sound any better, each burger comes in a delicious brioche bun with a pickle on top, and great quality chips on the side. 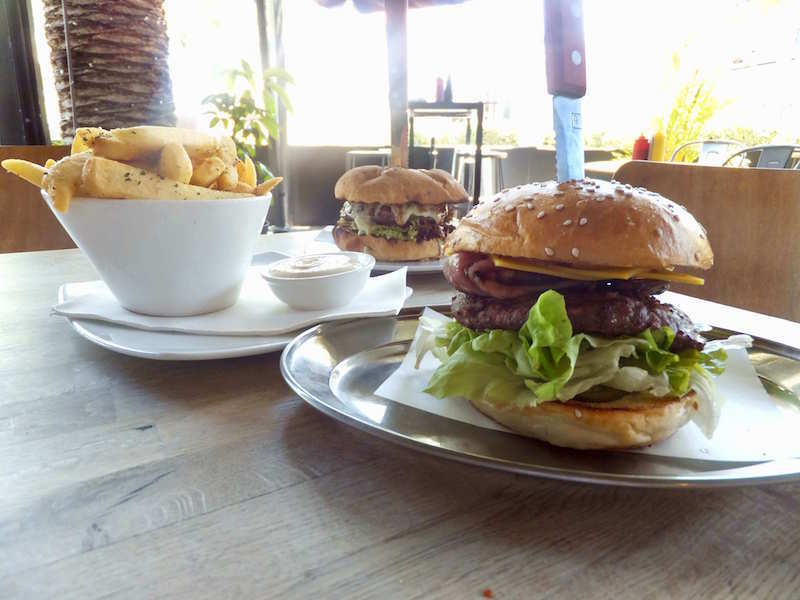 Flipside are the kings of the “healthy” burger so you don’t even feel bad about eating it. And did I mention the chips yet? Ohhh the chips, it’s very hard to find a better chip in Perth. Beef or Chicken, they’ve got you covered. If you’re pro-chicken you can’t go past the Taxi C.A.B. – free range chicken breast, fresh avocado, crispy bacon, salad, tomato relish and mayo. If you’re not watching your waistline, Flipside does have a guilty alternative. Their new item, the Williamsburger, is burger perfection in the form of prime beef, Monterey Jack cheese, McClure’s pickles, mustard and mayo on a toasted milk sesame bun. The meat in the Jus Burgers patties is on a whole other level. Their Wagyu beef is moist and full of flavour, and it’s all sourced from WA too. The Wagyu Beef Americano is an American-style burger, filled with char-grilled meat, pickles, streaky bacon, American cheese, aioli, salad, mustard and tomato sauce. The cheese is worth a second mention as it’s super tasty, and so are the three different sauces which add so much extra flavour. There’s a range of chips to choose from, but you couldn’t go wrong with the farmyard salt and garlic aioli. They also do great shakes to wash down your burger, if you can stomach it after all that food. Short Order burgers definitely fall into the same category as Varsity Burger in terms of the incredibly tasty but probably not-too-good-for-you end of the burger spectrum. The BBQ Bacon Cheese Burger is something you probably haven’t tried before; premium grass fed beef with smoked mozzarella, American Cheddar, caramelised onion, pickles, maple candied bacon, whole egg mayo and Short Order BBQ sauce. The meat is cooked to medium rare perfection, and the maple candied bacon brings a sweet and new flavour to the classic loaded cheese burger. All the burgers come in lightly toasted brioche buns, and when it comes to sauces, you can get three different ones with the fries, but if you ask me look further than the BBQ sauce. The fries are as good as the burgers, beating Maccas’ by a long shot. The Chicken Burger is also worth a mention. If you like your burgers spicy, then this one is a must have, with Sriracha and Short Order sauce creating a fiesta for the mouth. At the Brooklyn Lounge in Claremont, The Alamo is in the serious chicken burger category, with buttermilk fried chicken, cheese, bacon, jalapeño and queso. It’s spicy, smothered in sauce, and has a fairly unique taste to it. The Brooklyn is a beef burger and sits on the line between healthy burgers and burgers you should only have once in a very long while. It’s wagyu patty is top notch, and comes with bacon, cheese, salad and tomato sauce. A simple and safe combination, making for a delicious bite to eat, and they don’t skimp on the chip portions either! The loaded fries are particularly decadent. If pulled pork dripping in barbecue sauce, cheese and jalapeños sitting on a basket of chips sounds like the sort of thing you’re into, then Brooklyn Lounge is perfect for you. 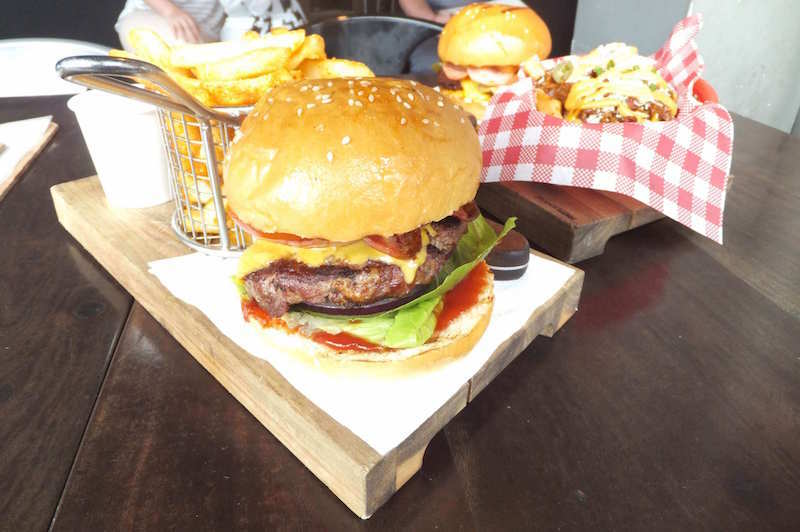 The Merrywell at Crown approach is go big or go home, so you won’t find an average cheeseburger here. What you will find is the Memphis BBQ Angus Burger – Angus patty, pulled pork, coleslaw, cheddar, and with a side of fries. It’s hard to go wrong with two meats in one burger, and the pulled pork adds to the flavour in a way that makes you question why people don’t do this more often. 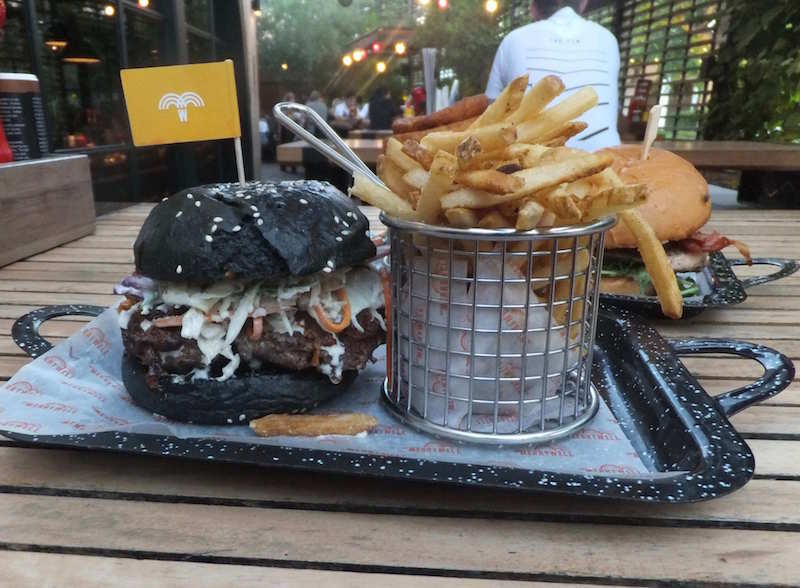 The charcoal bun is interesting to look at but you won’t be looking at it for long because like the rest of the burger it tastes good so you’ll have eaten it all up. If you’re after a fresher option they also do a Grilled Chicken, Bacon and Avocado Club – with salad and garlic aioli plus a side of onion rings. Chicken, bacon and avocado; It’s hard to go wrong with that. As you can probably tell from the name, Missy Moos like to get creative with their burgers, and with what they call them too. Your classic ‘the lot’ burger at Missy Moos is the Humpty Dumpty; Premium WA lean beef patty, tasty cheese, soft fried egg, grilled pineapple, beetroot, salad, aioli & Missy relish. That’s one loaded burger, and you need some skill to eat it cleanly. 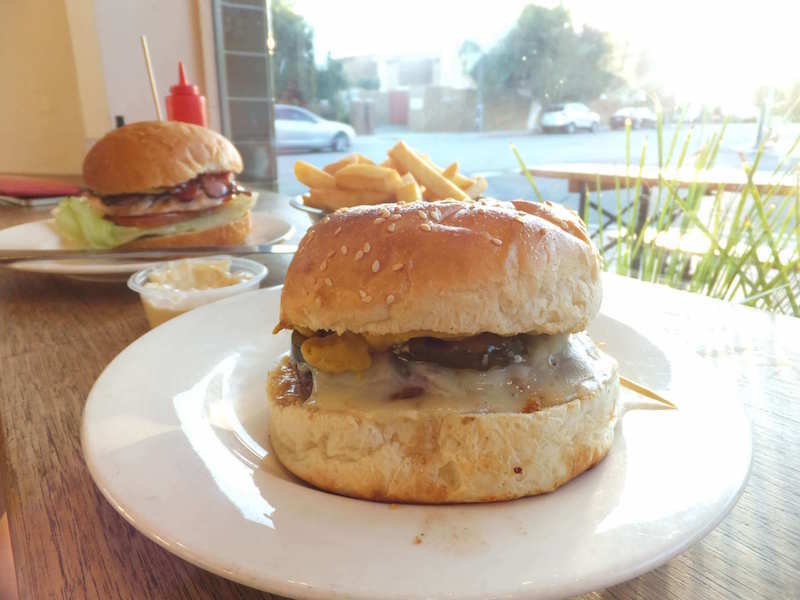 The Yankee Doodle – Premium WA lean beef patty, tasty cheese, fresh onion, pickles, American mustard and tomato sauce – is Missy Moos’ rivals the Flipside Williamsburger. It’s an American style cheeseburger but with an Aussie patty and sesame bun. The Queens Tavern has one burger on their main menu and it’s a damn good one. For a start, the bun is brioche perfection and rivals both Varsity and Short Order. The rest of the burger consists of house-made beef patty which contains chorizo, giving it an extra kick, along with American cheese, crispy bacon, smoky chipotle, sriracha cheese sauce, and two pickles on top plus beer battered chips. The chips are nice and thick, served with good dollop of tommy sauce. But back to the burger. The patty and sauces really set it off. If you can’t handle spice, then this probably isn’t the burger for you. Otherwise, the only problem you’ll find is there isn’t enough of it, because by the end you’ll still want more. Get the Big Daddy. There’s no decision here. If you are serious about burgers or just want to eat something incredible, eating the Big Daddy at Meet and Bun is something you have to do. Two patties are always better than one. Bacon, obviously good. Cheddar, mustard, chipotle mayo – gooooooood! So good in fact, I filmed it. Served with salad on a warm brioche bun and some pickles, just to cap it off. However, with a great burger usually comes a great mess. Make sure you have a drink and some napkins on standby to counter the greasy consequences of your burger purchasing actions. Lucky last is MOP Donuts, a donut shop in Leederville which also does donut burgers of the breakfast and lunch/dinner variety. The Black Angus (double) is a unique burger specimen in comparison to the competition, mainly due to its donut bun. Brioche is a sweet kind of bread, but this bun took things to the next level. Not as greasy as other burgers with sauce you can’t get anywhere else, this burger is definitely worth trying. If you go the double though, be prepared for a slippery mess, an easily deteriorating bun, and the fact it’s pretty much impossible to take a bite out of the whole thing because it’s so tall. However, the real highlight of eating at MOP are the chips. Cut like a crisp, and tastes like a wedge and a chip rolled into one, they are so good and so worth the $5, you can’t give it a miss. And there you have it. Now it shouldn’t be too hard to find that burger you’re dying for on a Friday night (or any other night or day of the week, it’s always time for a burger).